A New Jersey teenager was arrested on New Year’s Eve on suspicion of fatally shooting his parents, sister, and a family friend, prosecutors said. The 16-year-old suspect was arrested without incident and has not been identified. Police arrested a 16-year-old boy suspected of killing four people including his parents, sister, and a family friend with an assault rifle at their New Jersey home on New Year’s Eve, prosecutors said on Monday. 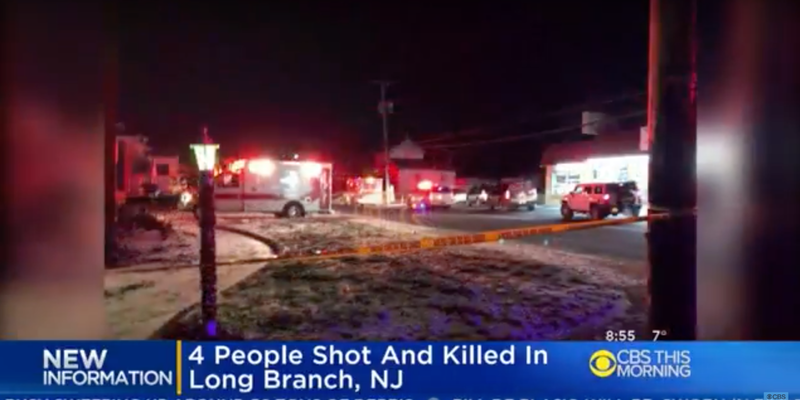 Officers from Long Branch police and the Monmouth County Sheriff’s Office responded to a call shortly before midnight and discovered the victims, the Monmouth County Prosecutor’s Office said in a statement. The suspect, who was not identified because he is a juvenile, was arrested at the home without incident, the statement said. “Thankfully it was uneventful. It didn’t require any force,” Monmouth County Prosecutor Christopher Gramiccioni told reporters at a news conference on Monday morning, the New York Daily News reported. The victims were identified as the suspect’s father, Steven Kologi, 44; mother Linda Kologi, 42; sister Brittany Kologi, 18; and family friend Mary Schultz, 70. The shooter apparently used a Century Arms semiautomatic rifle. The teenager’s brother and grandfather survived the attack, Gramiccioni said. Gramiccioni said the teenager will be charged on Monday with four counts of murder and one count of weapons possession.